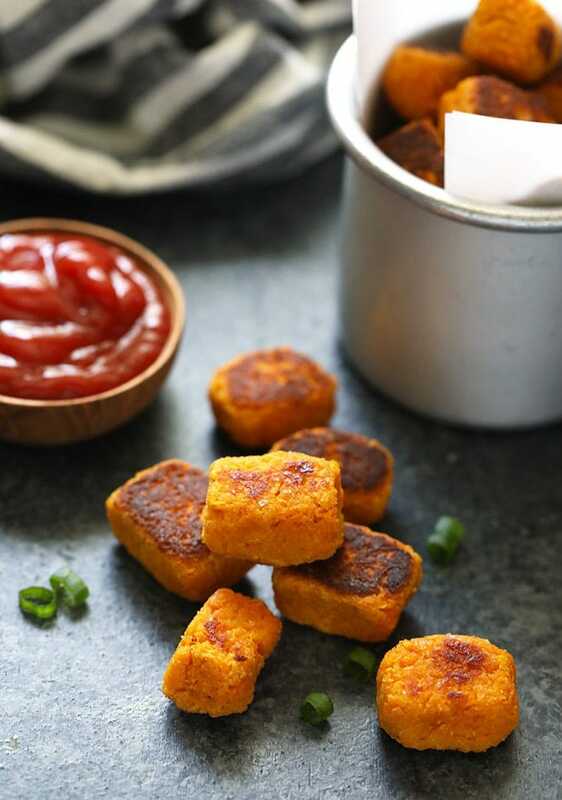 These sweet potato tater tots are so easy to make! All you have to do is mix the ingredients together, form a tater tot, and bake. 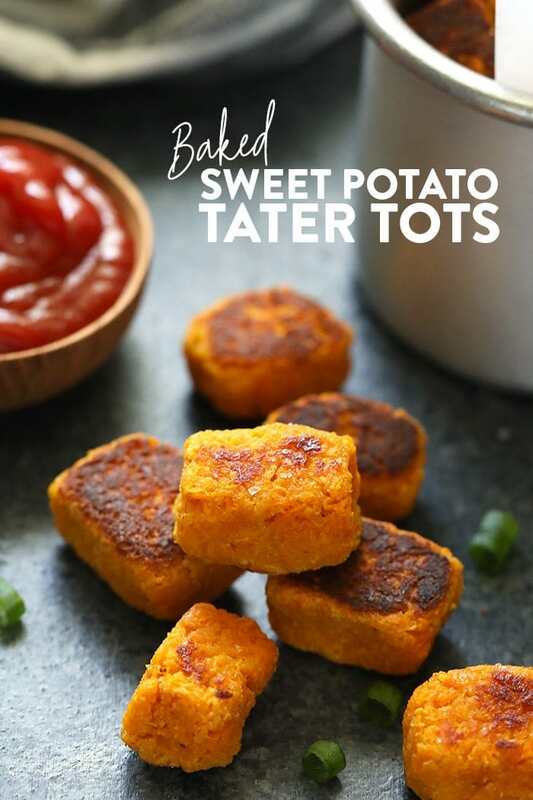 These healthy tater tots make a great side dish for any meal as well as a fun dinner idea for the kids! Alright, it’s time to get real. Are you a tater tot person or a french fry person when you go out to eat? More times than not I will order sweet potato fries if they’re on the menu. However, Cole always goes for the TATER TOTS. I have to say, I am a fan of tater tots when they are done right. 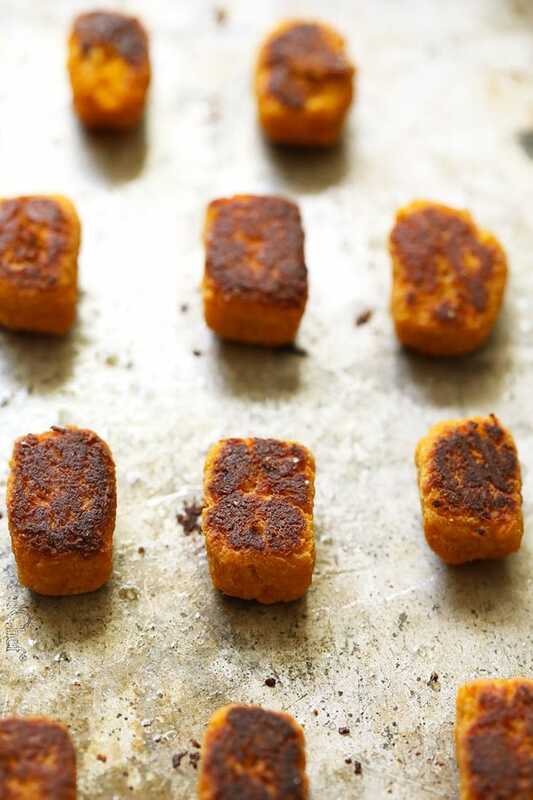 What I can’t stand is when tater tots come out of the kitchen and you pop one in your mouth in anticipation of a delicious delight and you realize they are definitely freezer tots. NO THANK YOU. 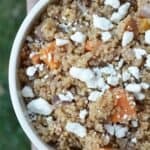 These healthy sweet potato tater tots came to life because as we were planning for fall recipes (which we do at the beginning of summer) we knew we wanted to create a delicious healthy tater tot hotdish recipe. 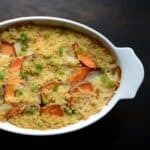 All of us are good mid-western ladies and tater tot hotdish makes us weak in the knees, but we wanted to create a healthier dish, so sweet potato tater tot hotdish will be coming your way SOON. In anticipation for our tater tot hot dish, we had to create a delicious new sweet potato tater tot recipe. HERE IT IS. 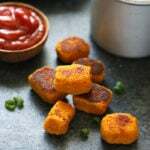 We love this recipe because it is easy to make and you have the option of making these tots vegan or you can add an egg for extra crispiness. Make sure grate FINELY grate potatoes and let them sit with a bit of salt to draw out any additional moisture. Season grated potatoes with your favorite spices or spice mix for some fun added flavor! 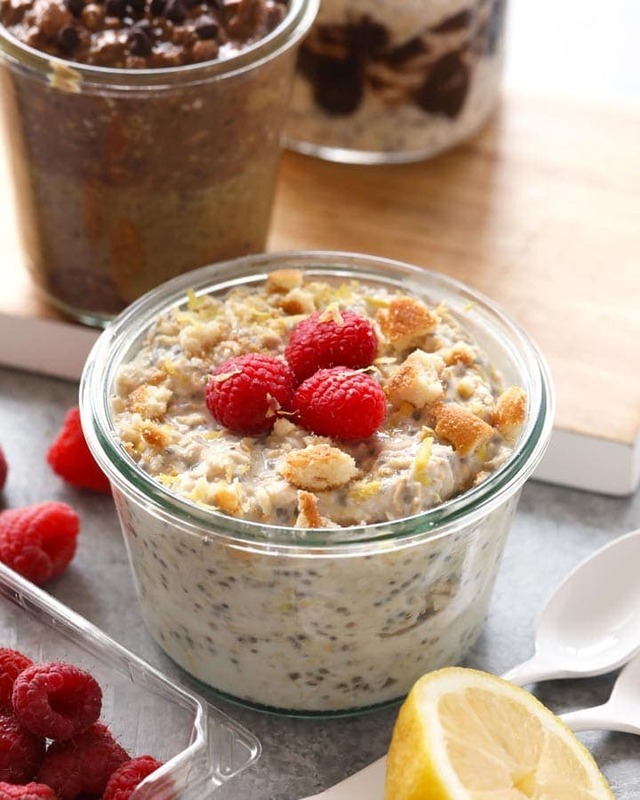 If tater tots are not forming, add an egg or a flax egg. This should bind the mixture together, making the tater tots easier to form. Spray a baking sheet with olive oil or use parchment paper to avoid any sticking. Flip tater tots halfway through bake time to ensure both sides get a little crunchy. 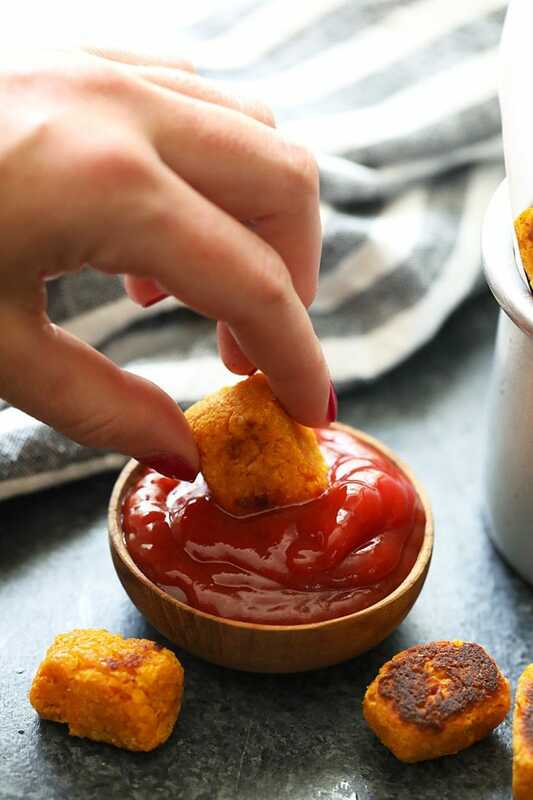 Make a delicious dipping sauce for tater tots! 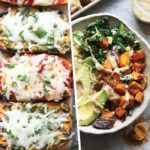 Use the second smallest grate size on your cheese grater and grate sweet potatoes. 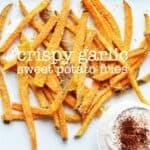 Place shredded sweet potatoes in a bowl and mix with a pinch of salt and let sit for 10-15 minutes to draw out moisture. Next, place sweet potato in two layers of paper towel and squeeze the moisture out of the sweet potato over a sink. Squeeze as much moisture out as possible. 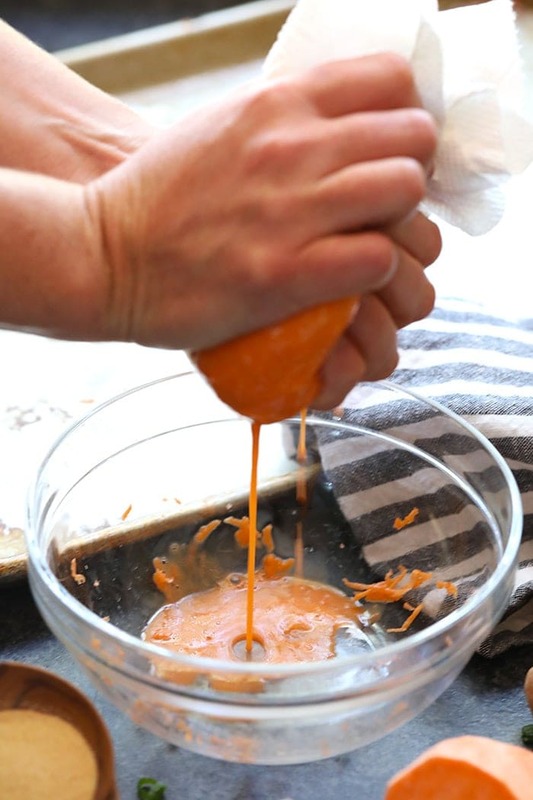 In a medium-sized mixing bowl, mix sweet potato with the rest of the ingredients (except olive oil). Mix well. Use a teaspoon to scoop out a heaping scoop of sweet potato mixture. Form a tater tot with your fingers and place on a greased pan. Repeat until the sweet potato mixture is gone. Sprinkle tater tot with olive oil. Bake for 10 minutes then flip. Bake for an additional 10 minutes. For a crispier tater top, add an egg!